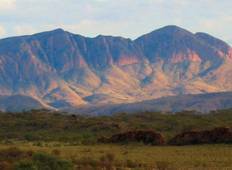 Find a Camping trip that explores Australia. There are 31 tours to choose from, that range in length from 3 days up to 22 days. The most popular month for these tours is May, which has the most tour departures. 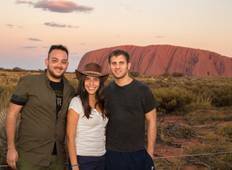 "Well where to begin........ We were lucky enough to do the 3 days 2 night tour, departing..."
"I really enjoyed the hikes into the different gorges. This is an excellent tour if..."
"From the moment I was picked up at the meeting point, till the drop off point at..."
"My husband, two children (aged 11 and 13) and myself did the Kakadu Walking Adventure...."
"Tim met us on time and made me feel welcome from the first. He was full of enthusiasm..."